The Lover was the first production of Fresh Target [bang! 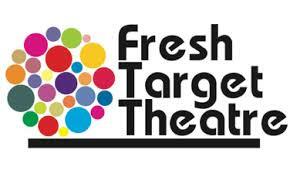 ], the company that would later develop into Fresh Target Theatre. This award winning play by Harold Pinter written in 1962 contrasts bourgeois domesticity with sexual yearning highlighting the success, failures and dead-ends of an otherwise conventional marital relationship. Out of the theatre and into the real space Fresh Target Theatre tried to shift the audience into the same space as the performer thus making them part of each other’s being and performance. In Fresh Target’s The Lover the audience was invited to enter a brand new luxurious apartment on the third floor of a building in an affluent suburb of Nicosia. 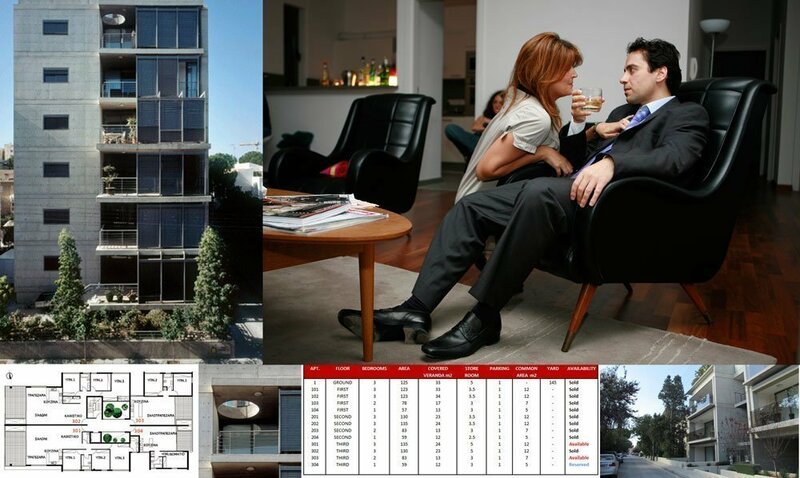 The modern interior design and architecture of the flat strongly emphasized the emptiness in the relationship of the couple in the play; a cruel social comment on modern real estate in, the expanding city and the complexity of human communication in late 2000 capitalist Cyprus. 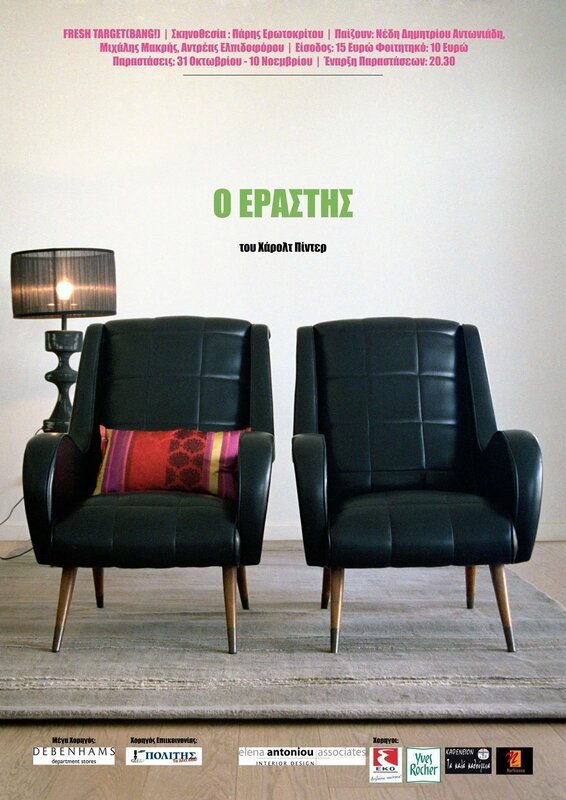 The text was translated by Paris Erotokritou into the modern Cypriot dialect, thus paving the way for the extensive use of the local dialect in foreign modern plays and out of the folk context that was - up to that point - usually used. Fresh Target Theatre’s production of The Lover formed part of the Cyprus Participation at the Prague Quadrennial 2011 (PQ11): ‘At the shifting point of the turning world: Urban Ready-Mades'.